We may assume that the price started forming wave 4, which is taking the form of zigzag pattern with wave [A] being formed inside it. 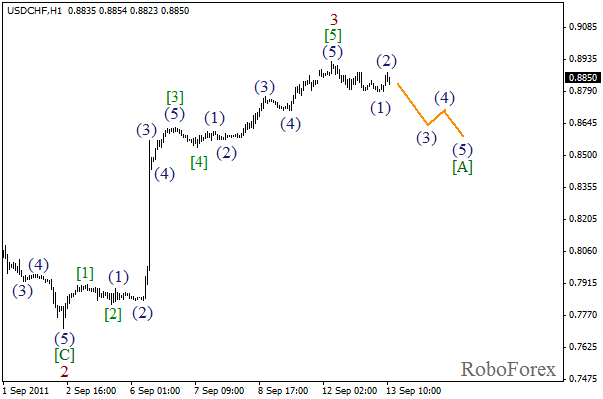 In the near term, we can expect the corrective price movement to continue to the level of 0.85 - 0.84. More detailed wave markings are shown on the H1 chart. It looks like an initial impulse in wave [A] has been completed. 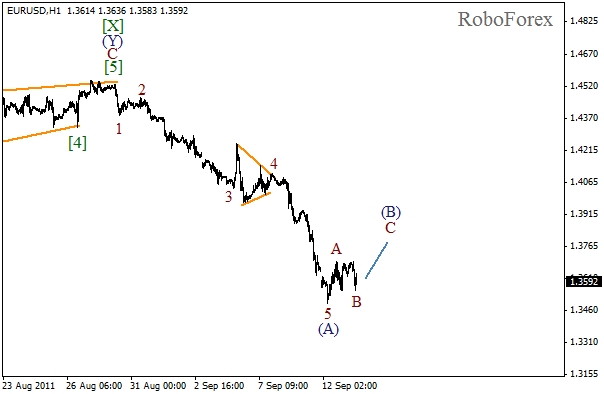 Right now the local correction is taking place, and after it is finished we can expect the start of wave (3). It looks like an impulse in wave (A) has been completed, and at the moment we can see the correction which was expected earlier. 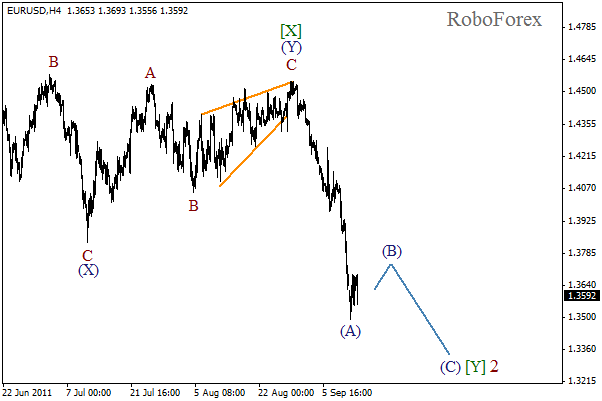 The price may form wave (B) during the next several days, and later on, there is a possibility that wave (C)of Y may start. More detailed wave markings are shown on the H1 chart, and we can see that an impulse in wave (A) has been completely formed. 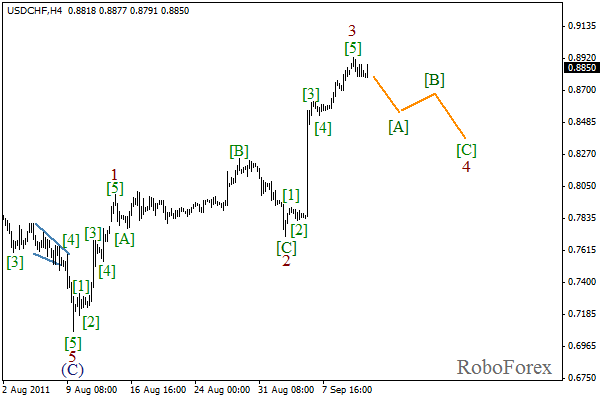 At the moment the local correction is taking place inside wave (B), and after it is finished we can expect the start of bullish wave C of (B).